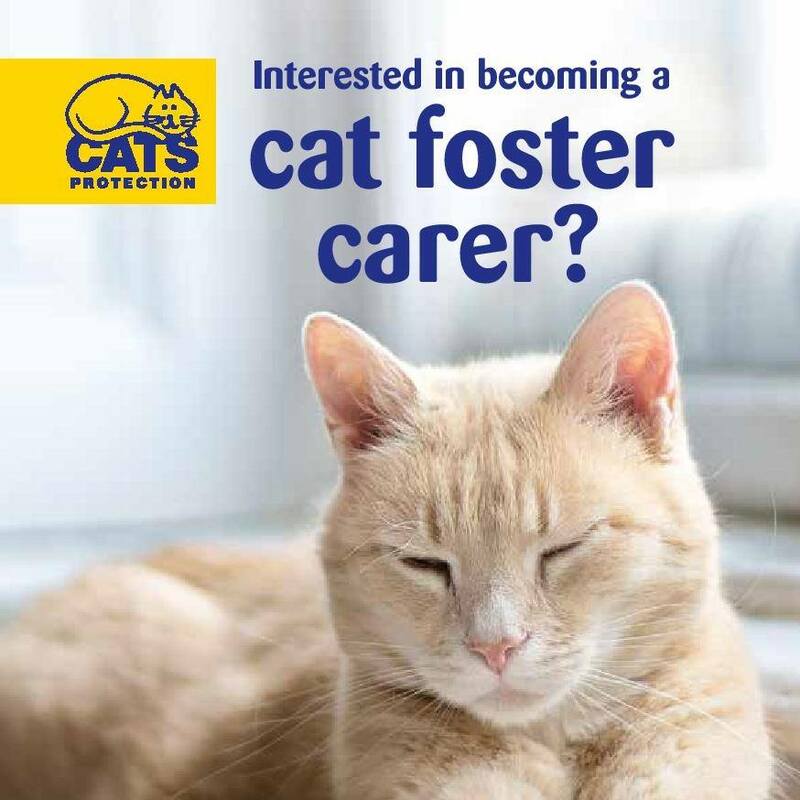 Canterbury and District Cats Protection does not have a not have a central space for the cats and kittens in our care so our foster carers play a vital role in looking after our cats and kittens on a short term basis until a permanent home can be found for them. Fostering can be done in the home if you have suitable space or in your garden for which we can supply you with a cabin and run. The branch pays for all the food and equipment needed and there is always plenty of advice, support and training in cat/kitten care. For any cat that you foster, you will have made an enormous difference to that cat, which will often have come from desperate or unhappy circumstances. One of the biggest benefit to fostering for animal lovers is the knowledge that you’re actively helping an animal progress towards a better future. Sometimes this can be the first time in its life that the cat you are fostering has felt safe, cared for and loved. Do you have what it takes to be a fosterer? If you have a love of cats and want to help them – your pretty much there. We will help provide food and equipment (bedding, food, litter etc). We also pay for all veterinary treatment for the fostered cat or kitten. If you love cats but are not in a position to look after a cat for the rest of it’s life then don’t adopt one, but why not foster for us instead? You do not need to have a garden or outside space you just need to be able to offer a cat a temporary home. We always have too many cats that need more foster homes than we have space for. We never put a healthy animal to sleep even if it will be with us in our care for a long time, this could mean looking after an older cat. If you have room and time we would love to hear from you. We will provide all you need to care for the cat. As well as equipment, fees, advice and support we can also help with getting the cat to the vet we cover postcodes CT1 – 6 and ME13. Have you the Space to Foster? All of the cats and kittens we have at Canterbury and District Cats Protection have been fostered in this way. Will I have too many cats? We give our fosterers a choice over the age / number / circumstances of the cat / kittens that they are comfortable with fostering. The fosterer is in control of the type / amount of cats that they can offer a temporary space to. We also are happy if you want a break from fostering at any time. Will I be able to take a break / holiday? You can take breaks from fostering whenever you want to and if you are going on holiday we ask that you contact your co-ordinator so we are able to make arrangements if you are not available. Cats protection will pay or provide all food, litter and equipment (toys, beds, scratching posts etc.). We also handle all vet fees and can arrange for or pay for transport. We work with individual circumstances and also the cat or kittens that need to be fostered. We would ask you if you have another pet if you have a way of keeping them contained to part of the house. We also ask that our cats are kept indoors. A spare room with a bed, food, litter tray and bed are ideal. While we cannot say that you won’t get attached to the cats and kittens you foster what we can guarantee is that there will always be someone there to be on hand to advise and support you throughout your fostering journey. We are there to help support you through your journey of fostering. Keep you up to date (we will never surprise you with a new foster cat). And the best thing about fostering is that you will have helped a cat or kitten on its way to a new forever home. One we have seen and are happy with.